Watermelon is in season, yum. 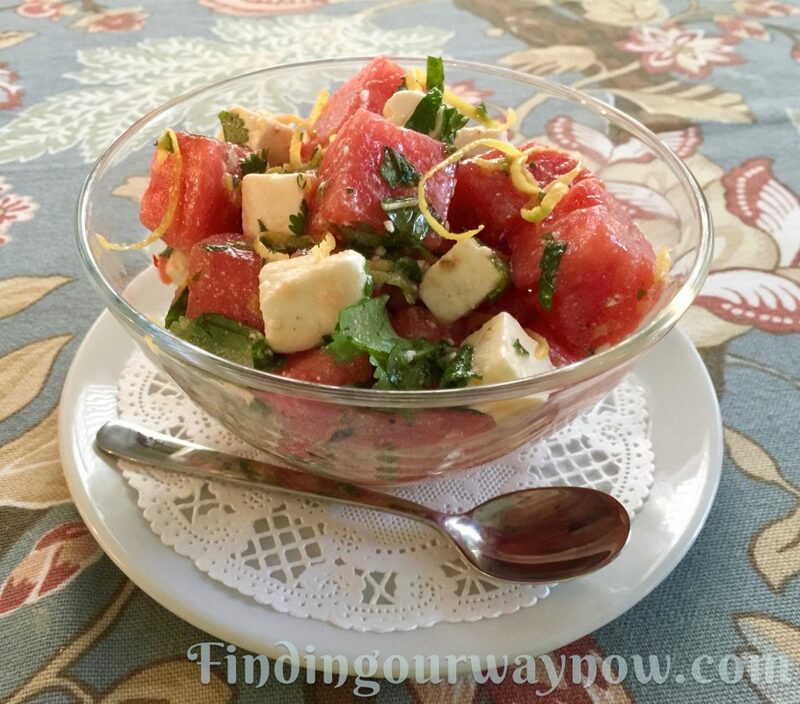 With all the hot days we’ve been having, what could be more fun than to make a Watermelon, Feta Cheese, Herb Salad. It’s a quick salad to assemble, and it’s as refreshing as it can get, especially on hot summer days. Ingredients: Makes approximately 6 to 7 ½ cup servings. Zest and juice the lemon. Create a vinaigrette with the lemon juice, olive oil and salt and pepper and set aside. Prepare the watermelon, feta cheese and herbs. 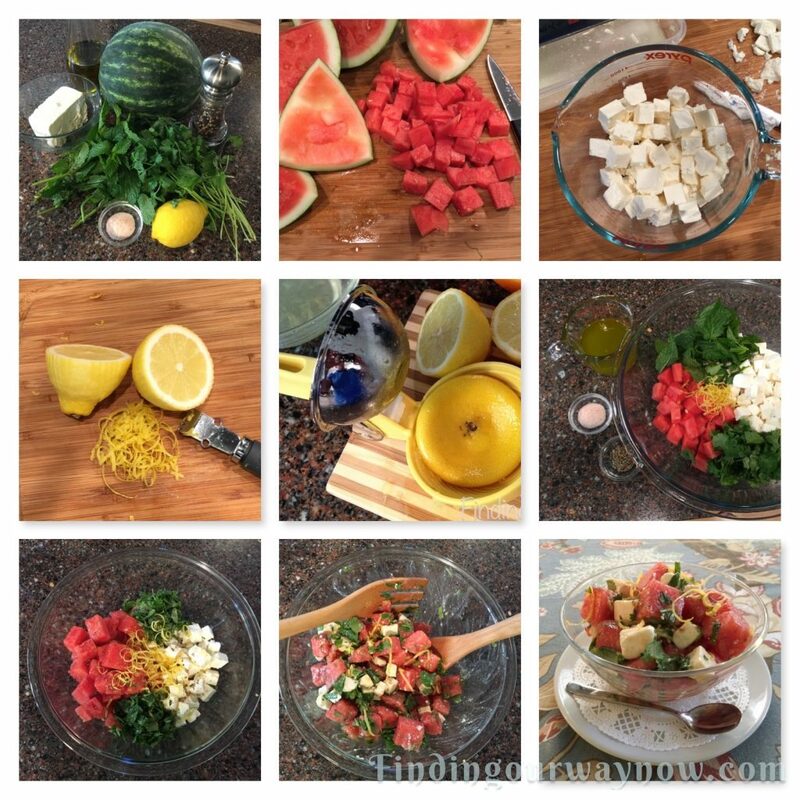 In a large bowl, add the watermelon, feta cheese, herbs and lemon zest. Drizzle the vinaigrette over the ingredients and gently toss to combine. Taste, if needed add bit more salt and pepper to taste. Serve immediately or cover and chill until ready. Variations: There are many ways to vary this delightful salad. Listed below are just a few suggestions. 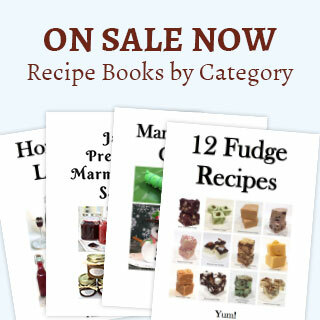 Use the same ratios of ingredients above for the variations below. Grape Tomato, Watermelon, Feta Cheese, Herb Salad – Use half and half watermelon and halved grape tomatoes. Mixed Baby Greens, Watermelon, Feta Cheese Salad with a sprinkle of sliced almonds. Notes: The herbs you choose to use can be varied. For example; sweet basil in place of mint works very nicely. There are times a bit of thinly sliced red onions can make a nice addition, especially in the tomato watermelon variation. Another addition I sometimes consider is adding some sliced almonds for a bit of crunch. If you aren’t into feta cheese, try substituting it with small Bocconcini cheeses. What do you think? Will you be giving this Watermelon, Feta Cheese, Herb Salad a try? I hope so. I know you’ll love it if you do, especially on a hot summer day.